FDU - UVANU INTERNATIONAL | Recruiter Agency, Study in Canada, Vancouver. Fairleigh Dickinson University as a leading innovator in global education, Fairleigh Dickinson University seeks new ways to offer its unique learning opportunities to students worldwide. The University’s newest campus opened in 2007 in Vancouver, British Columbia. Located in western Canada near the U.S. border, Vancouver is one of the world’s most scenic, cosmopolitan and multicultural cities. Vancouver Google Map FULLFDU-Vancouver offers undergraduate students one of the few opportunities to earn an American college degree while studying in Canada. FDU-Vancouver welcomes students from around the world to create a culturally diverse learning environment. 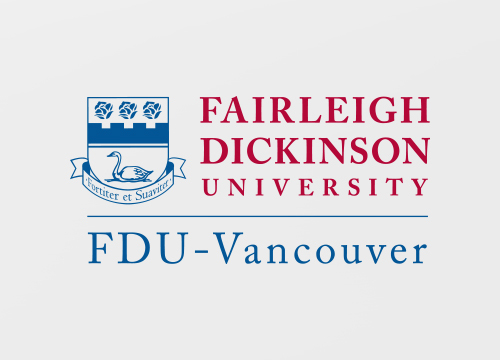 FDU-Vancouver offers resources to students who need additional support in developing their English-language skills before starting degree studies.